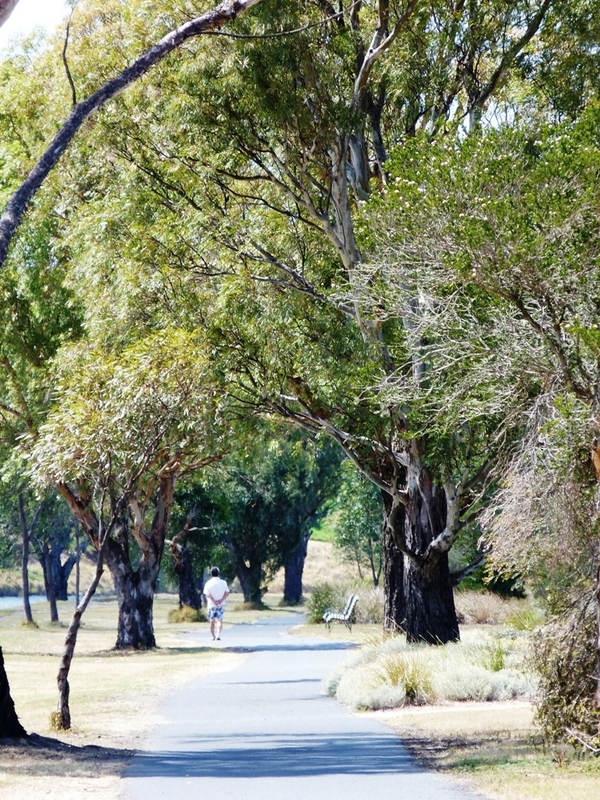 An unexpected gem in the city, this easy walk takes you along the Maribyrnong river, around a small lake and new wetlands, finishing among the wonderful gardens of Pipemakers Park. The walk starts and ends at the Living Museum of the West. From the museum, walk past the lovely old bluestone buildings on your left towards the river. These buildings, built in 1848, were initially used to boil tallow for candles. The site was later to become a meat cannery (exporting canned stews to the UK between 1868 and 1886), and more recently a pipe factory, which closed in 1978. When you meet the river, turn right, passing under the red pedestrian foot-bridge. A short while later, take the white gravel path that veers right away from the river, past lush vegetation that surrounds a small pond. It's a perfect home for many water birds. Just south of the pond, and before the lake, there is a bluestone ford. If you would like a shorter walk you can cross this ford and walk back along the river towards the park. Continuing south along the edge of the lake, you are sure to see lots of birdlife. Just past the boat mooring platform there is the option of stopping at a café. At the end of the lake there is another bluestone ford, but don't turn left here. Instead, continue a little further along, enjoying the newly developed wetlands. Follow the path around a small pond to the river bank. Turn left when you meet the river, back towards the park. Just after you pass under the red foot-bridge, turn left. This path takes you past the BBQ area (and toilet). It is located next to the first car park and is ideal for a picnic feast midway through your walk. 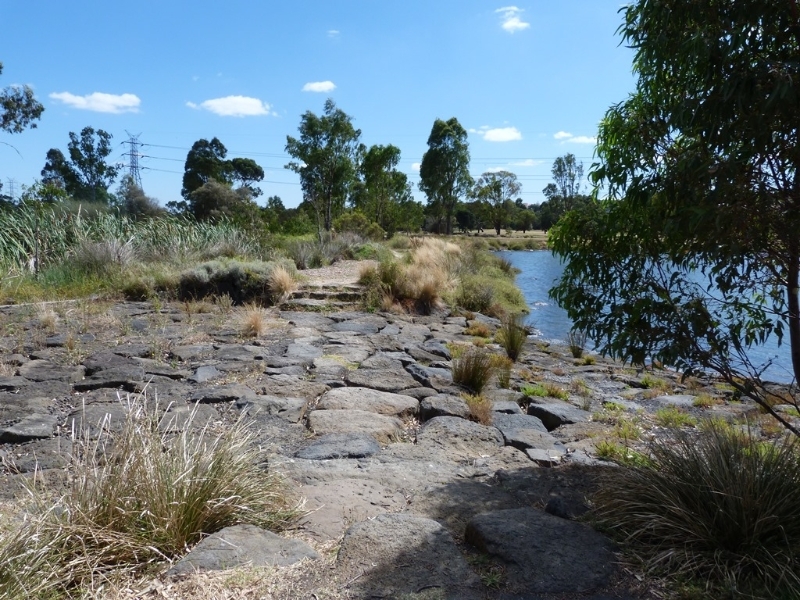 After the BBQ area, turn right onto a dirt track that meanders through a small pocket of wetlands. You will soon spot the gardens on your left. Head there and take your time wandering around, there are lots of things to discover. When you reach the other end of the gardens, turn left, back to the museum. BBQs, picnic tables and a drinking water fountain are located near the end of the walk. Toilets are located in the Living Museum of the West (open Fridays and Sundays only), and beside the BBQ area. There is a café on the route. Tram number 57 or 82 to stop 43 - Van Ness Avenue. 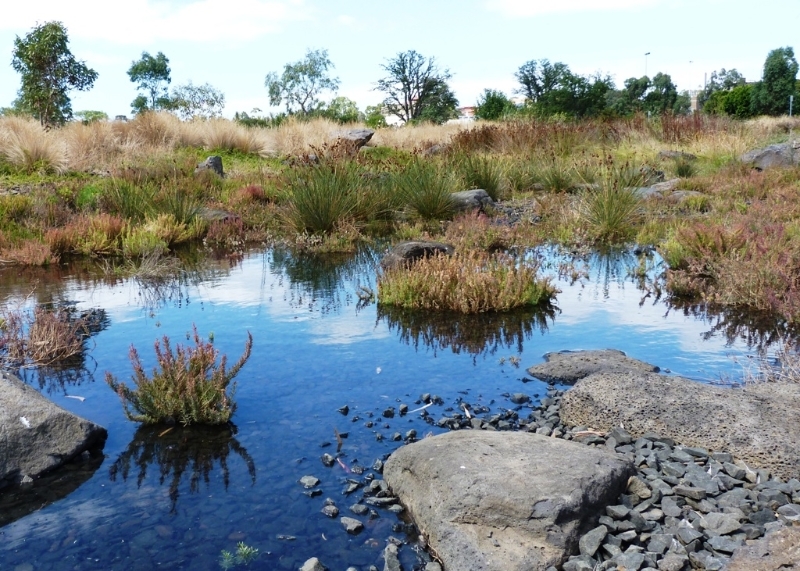 Walk 800m south along the river bank to Pipemakers Park. Bus 6 stops at Highpoint Shopping Centre, Bus 468 stops at Van Ness Avenue. 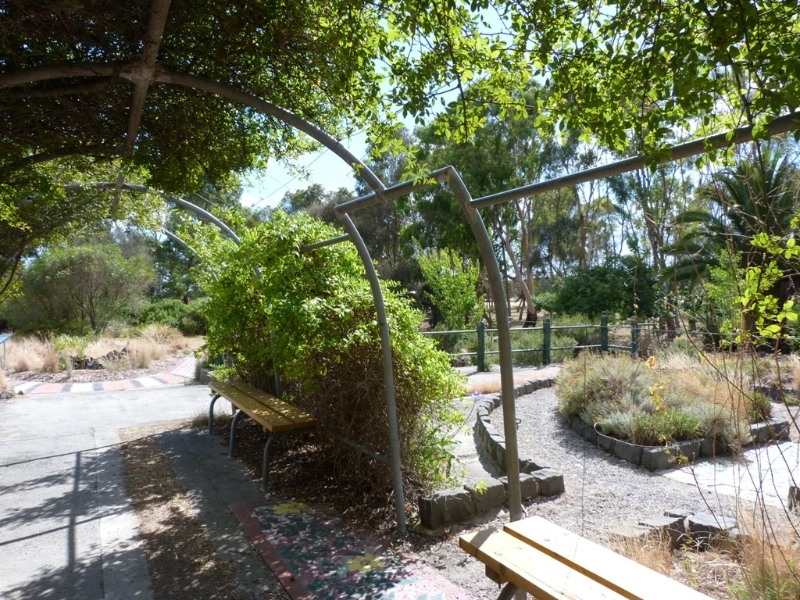 The park entrance is on Van Ness Avenue (Melways: 28 A10). Continue to the second car park. This walk was mapped for the Green Walks in the Park program which was an initiative of the Heart Foundation with funding from Parks Victoria and support from Victoria Walks. 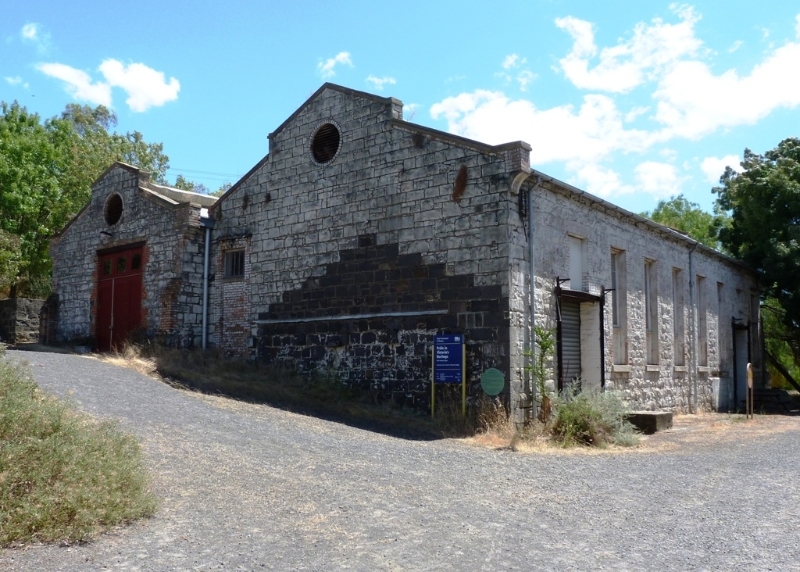 Melbourne's Living Museum of the West occupies these historic bluestone buildings for its office, resource centre and exhibition space. 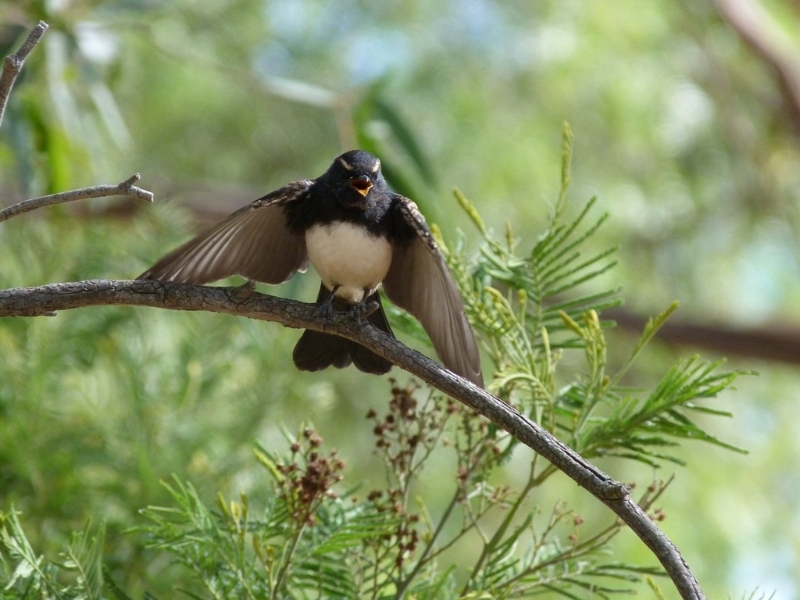 You are sure to spot Willy Wagtails darting about. When feeding they distract insects by wagging and fanning their tail. The route is flat and accessible to all. It is mostly paved and has very well maintained gravel tracks. A short section at the end is not readily accessible by wheelchair, and can easily be avoided. 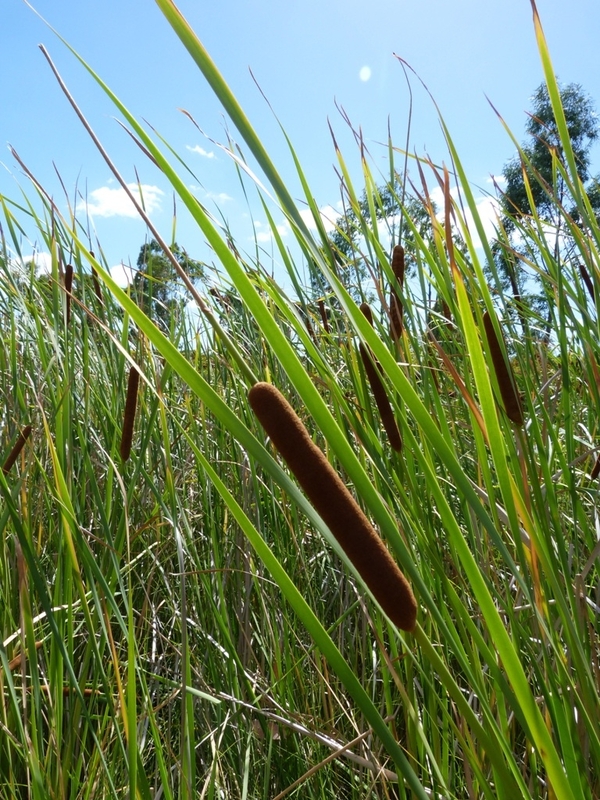 Around the first small pond there is lots of Cumbungi growing. It provides protection against bank erosion and is an excellent nesting site for water birds. The path alongside the river is a wide shared path. 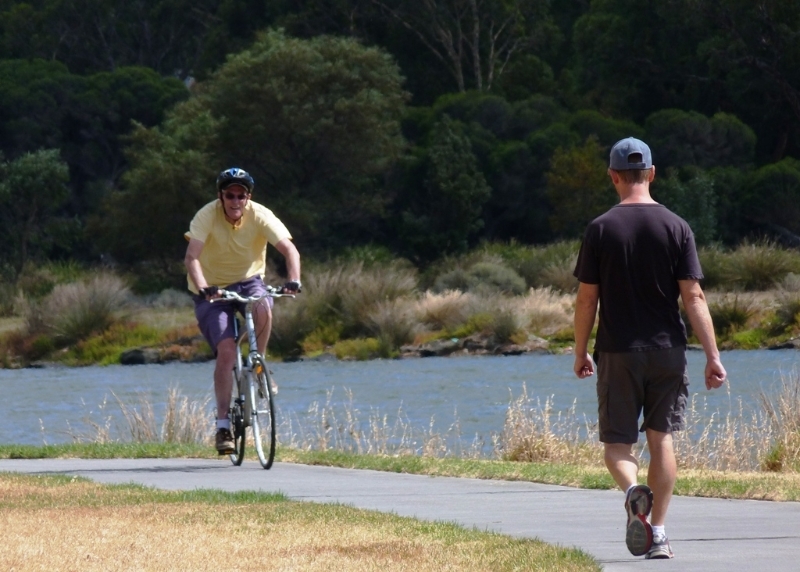 There are also sections of gravel path nearer the river bank as an alternative to the shared path. This recently developed area provides some wonderful resting options, fit for giants. There is also a cafe in the apartment block behind. Cormorants and seagulls spend time resting and socialising around the moorings here. 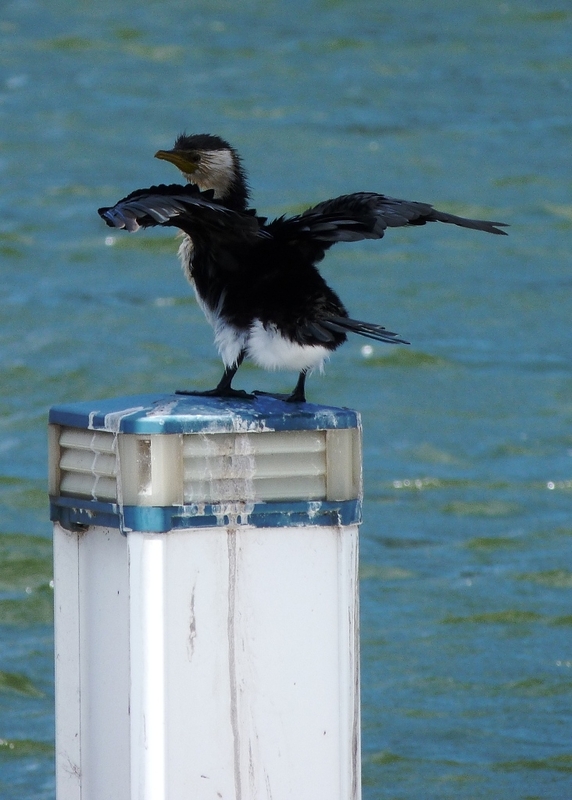 The cormorants dive in shallow waters to find fish and crustaceans. 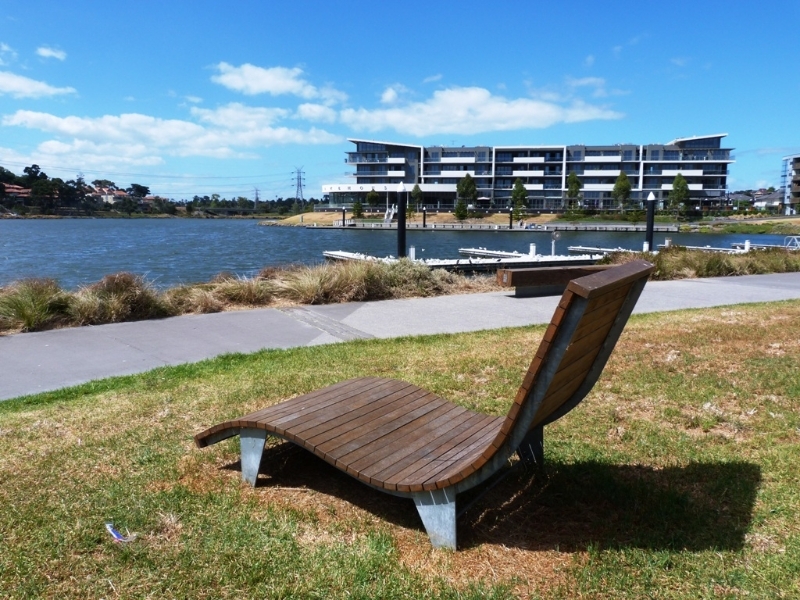 Built as part of the nearby apartment development, the wetlands cleanse the stormwater entering the river and provide a habitat for wildlife. 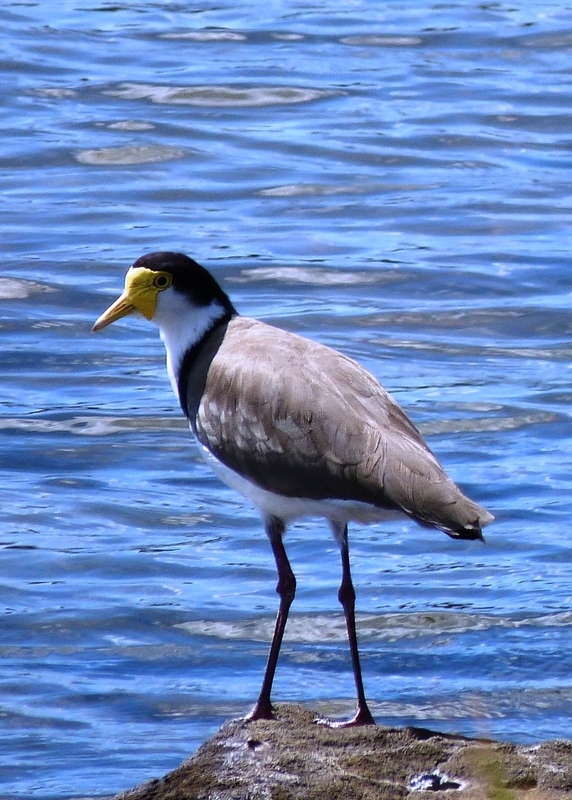 Around the lake and billabong is a feast of birdlife, including the Masked Lapwing (pictured), Eurasian Coots, Purple Moorhens, Seagulls and Ducks. 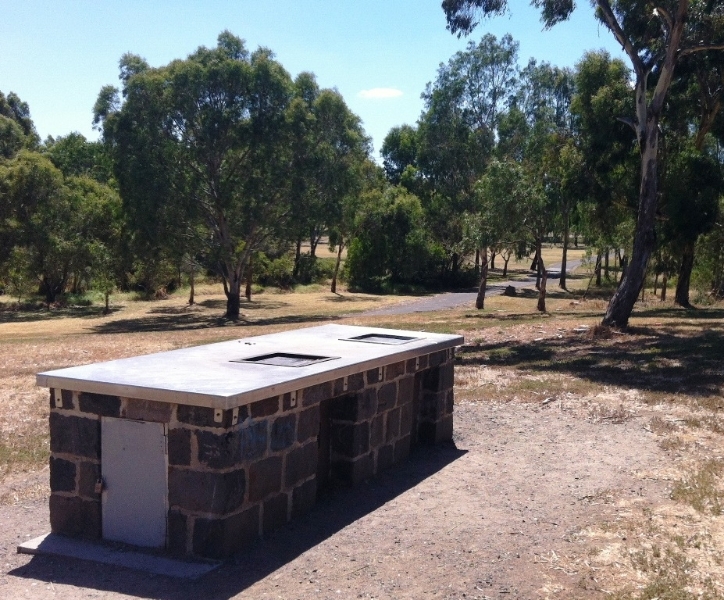 Near the end of the walk, and close to the car park, is a BBQ area with park benches and a drinking water fountain. A great place for a picnic after your walk. The gorgeous garden is a patchwork of small ornamental gardens and mosaics. Information boards describe the many uses of the area over the years. 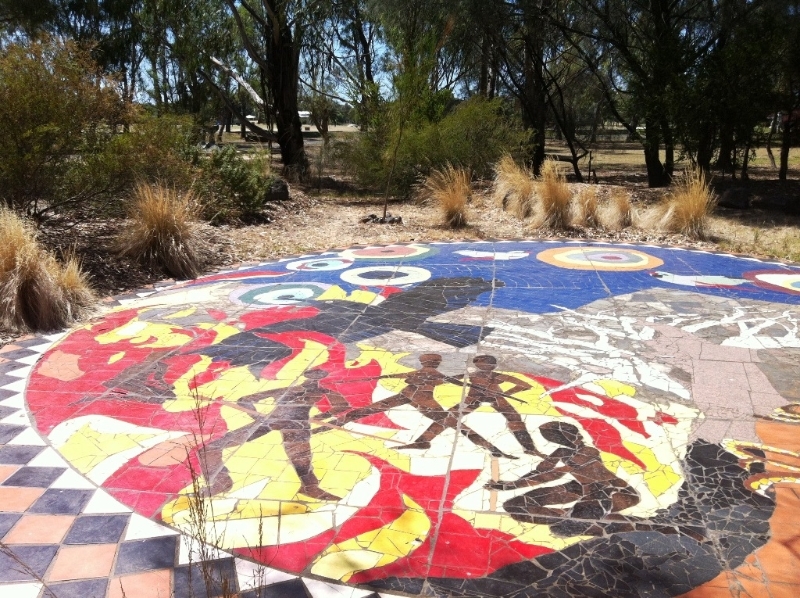 One of the many colourful mosaics in the garden, depicting Aboriginal life before European settlers arrived. The first of two bluestone fords  you can turn left here, cross the ford and turn left again when you meet the river to make a shorter version of the walk.